Chris Monnery joins Fidessa from Citi to head its Electronic Execution business in the US. 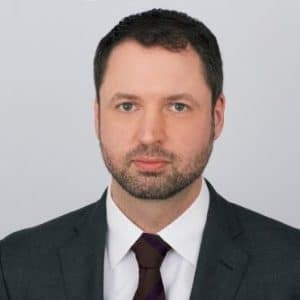 Fidessa group plc (LSE: FDSA), a comprehensive provider of software and trading solutions for the financial services industry, has appointed Chris Monnery as its newest US Head of Product Marketing for Electronic Execution with immediate effect, per a group statement. The appointment of Mr. Monnery is the company’s latest hire in its sell-side business. In his new role he will be based out of New York where he will report to David Polen, Fidessa’s Global Head of Electronic Execution. Mr. Monmery’s arrival coincides with a gradual investment by Fidessa in its electronic execution suite over the past three years, which has seen an added focus on infrastructure and execution technology. “I am excited to be working with Fidessa. We operate in a global and cross-asset world, and brokers need to reflect this in both their high- and low-touch services. I’ve been impressed with the scale and commitment Fidessa has in delivering this to its clients. I’m looking forward to bringing my past experience to bear in the execution space and working with clients to deliver greater efficiencies and growth to their businesses,” added Mr. Monnery.